Periodontal Disease is a common dental problem that affects many adults in the United States. It is characterized by an infection of the gums, soft tissue and bone surrounding the teeth. 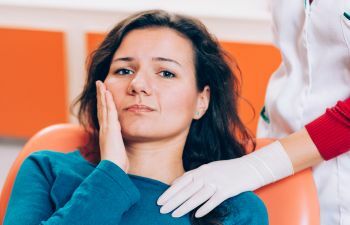 Periodontal disease is progressive in nature and can range from simple inflammation to serious disease that results in damage to the soft tissue and bone supporting the teeth. At its very worst, periodontal disease can lead to tooth loss. 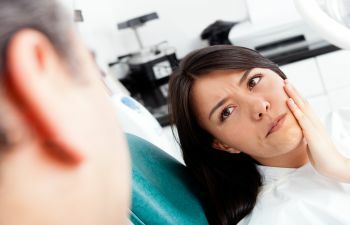 Since periodontal disease is progressive in nature, it is important to detect and treat it in its earliest stages, before major damage to the your bone and soft tissue is caused. The earliest stage of gum disease is referred to as “Gingivitis.” With Gingivitis, the gums become red and swollen and/or bleed easily. This is caused by a buildup of harmful bacteria called “plaque” on the surface of the teeth. 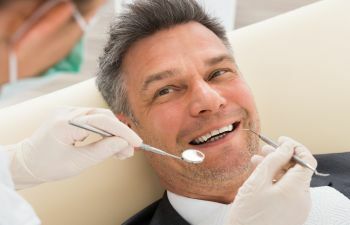 This mild form of gum disease can usually be reversed with daily flossing and brushing and visiting a dentist for a professional dental cleaning. Gingivitis does not involve any loss of the bone and tissue that support your teeth. However, it is really important to treat Gingivitis so it does not progress to Periodontitis. 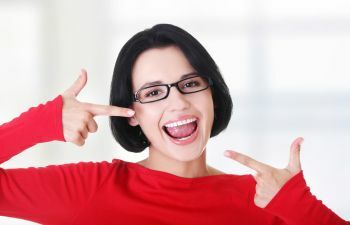 Periodontitis is a more serious form of gum disease that causes the gums to pull away from the teeth and form spaces or pockets that become infected. As the plaque spreads and grows below the gum line, the body’s immune system fights this harmful bacteria. 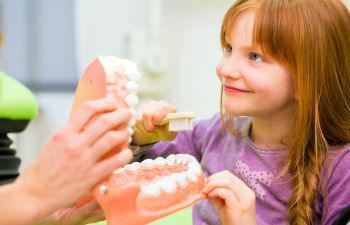 The body’s natural response to the infection will start to break down the bone and connective tissue that hold the teeth into place. If Periodontitis is not properly treated in a timely manner, the teeth may become loose and have to be removed. Treatments for Periodontitis may include deep cleaning (scaling and root planing), medications or even surgery. If you think you may have periodontal disease, schedule an appointment with your dentist today. By seeking treatment for gum disease today, you can protect the health of your teeth in the future.